In February 1958, King Hussein of Jordan and King Feisal of Iraq signed an agreement which provided for an Arab Union between the two countries. Prospects for the future of this Union came to an abrupt end with the murder of King Feisal and the revolution in Baghdad a few months later. The British Government responded rapidly when the request for assistance came from King Hussein. Operation FORTITUDE was launched early in the morning of 17 July 1958 from the British base at Akrotiri in Cyprus. The Task Force was commanded by Brigadier Tom Pearson and consisted of 2 battalions of the Parachute Regiment, one light regiment of Royal Artillery, and 6 Hunter aircraft of 208 Squadron. The mission was to secure the airfield in Amman and to protect King Hussein, the Palace, the Government and the main government installations. The wider political purpose of the task force was to stabilise the existing regime in Jordan. 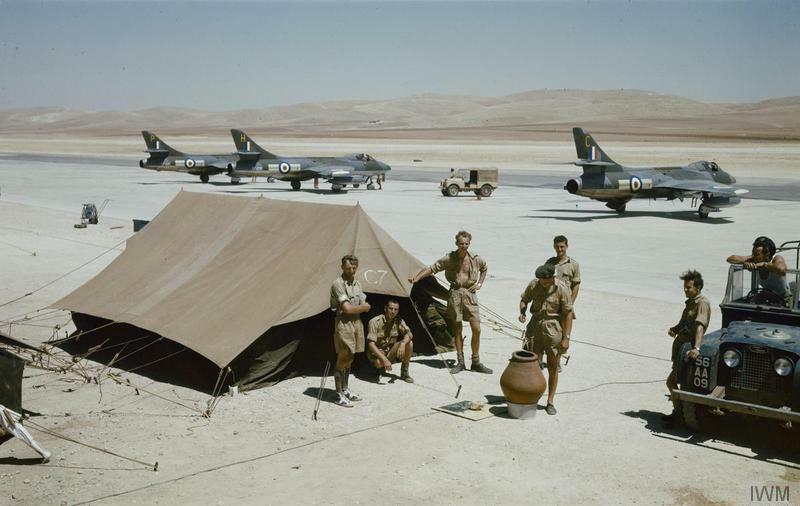 Jordanian decision makers understood that Operation FORTITUDE was as much a psychological as a military operation, and wanted details of the British build-up to be kept secret. Jordanian opinion believed that the whole exercise was on a far larger scale than it really was, and it seemed wholesome that this belief should continue. 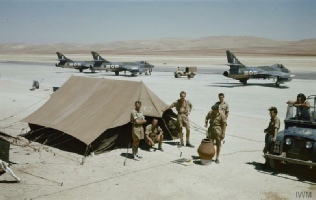 The sound of British aircraft flying over Amman made a vivid impact on the population, and demonstrated to Jordanians that King Hussein was backed by the West. Taking advantage of the security provided by the West, the King and his advisors used all necessary means to retain their grip on power. King Hussein restored confidence in his rule by re-establishing contact with his army and purging it of opposition plotters. On 21 August 1958, the UN General Assembly unanimously accepted an Arab League-sponsored resolution calling for all Arab states to respect the territorial integrity and sovereignty of other states, and to observe strict non-interference in each other’s internal affairs. The Resolution also called for the Secretary General to facilitate the withdrawal of foreign troops from Jordan and the Lebanon. British forces were withdrawn by 2 November 1958. The day after the British withdrawal, Ambassador Johnston reported that King Hussein’s standing in the Country had never been higher. Click here to view a gallery of photographs of the ‘Jordan Detachment at Work’. Click here to view a gallery of photographs of the ‘Jordan Detachment at Play’.